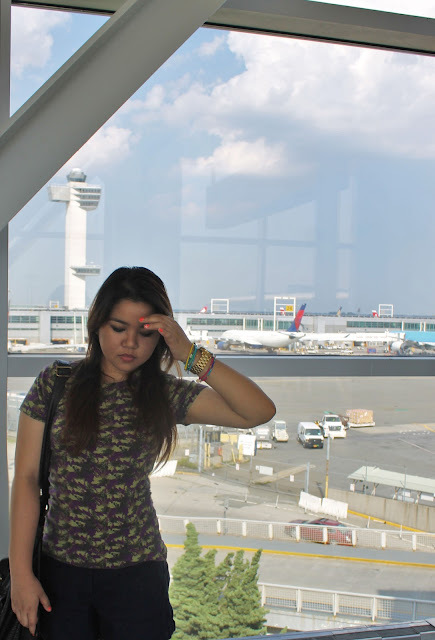 The Big Apple Girl: At JFK Airport today. 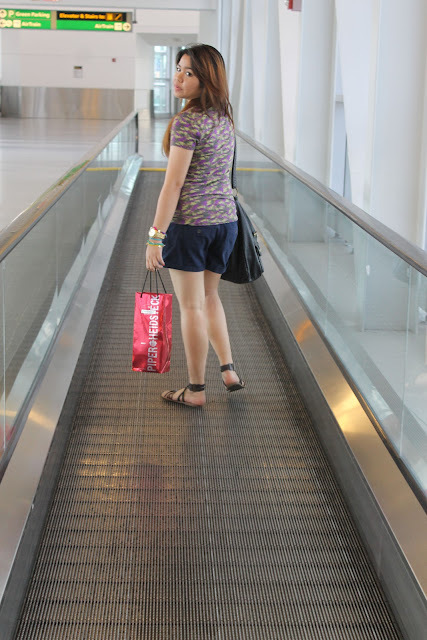 Lazy Sunday outfit at the airport. Met up with my mom's God Daughter from the Philippines. She's visiting New York for world choir games. aww. Thank you Anna! so are you. Thank you Ileana! 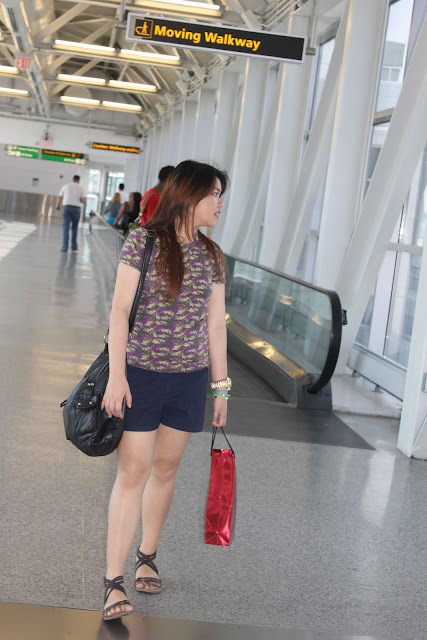 :) I'll visit your blog..
dressing for the airport is always so tricky because you want to look nice and be comfortable. i love this look! I am your newest follower and I cannot wait to read more of your posts and hope that maybe you can return the favor and follow my preppy blog. I always comment back and would love to start a friendly relationship with your wonderful blog! that outfit is perfectly comfortable for airports.. and the top is gorgeous!